Yes you may bring a birthday cake to The Maybush. We will provide a knife and side plates but don’t cut and serve the cakes ourselves. Do you host wedding/ private events? 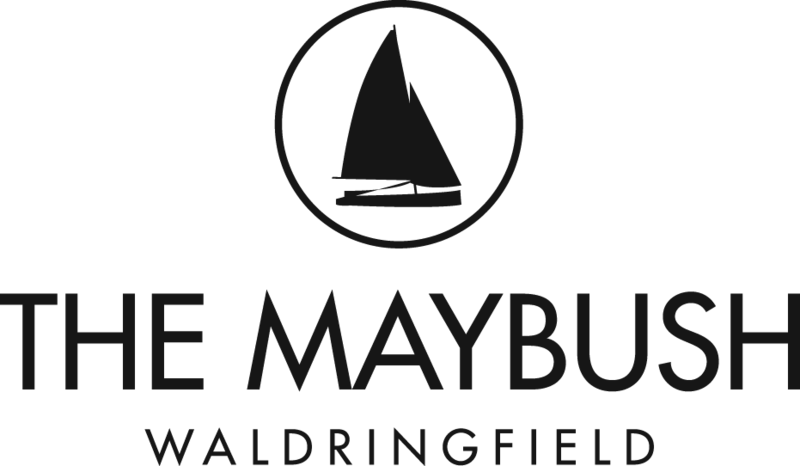 No unfortunately at The Maybush we do not have the facilities for private dining or events. We do not cater for weddings nor do we hire out the whole pub for such events. Do you cater for GF, DF or Vegan? Yes we do cater for a wide range of dietary requirements, dairy free, gluten free, and vegan are all marked on our menu, however if you have more specific dietary requirements feel free to ring the pub ahead of your visit, alternatively you can speak to your server at the table. Yes we offer dog friendly dining in our bar area, please let us know you wish to bring your dog along when booking your table so we can ensure we reserve you a table in the appropriate area. What time do you serve food? Do you have high chairs? How do I buy a gift voucher? Do your gift vouchers expire? Can you do a set menu for my party? Yes we do offer a set menu for large party bookings. This can be found online under the heading of boat party menu. Alternatively if you require any alterations or particular special dietary requirements please call the pub to discuss how we can accommodate your group. Do you accept large group bookings? We do accept large party bookings, however we do have some limitations on numbers due to the size of our rooms. We also may not be able to accommodate large groups at short notice due to high demand, particularly over the summer months. To book a large group booking please call the pub direct on 01473 736215, we will endeavour to accommodate you as best we can. Copyright Deben Inns Ltd. Site by U2R | All Rights Reserved.